In 2007, UK-based retailer Marks & Spencer launched an aggressive social responsibility initiative called Plan A (because there’s no Plan B for the planet). They set 100 huge targets without much of a plan about how to reach them. One of those audacious goals was to send zero waste to landfills. When they accomplished that goal on the operations side in 2012, Marks & Spencer turned their focus to the consumer’s role in their clothing’s product lifecycle. Once people were done wearing a Marks & Spencer clothing item, what happened to it? The answer was that, all too often, it ended up in a landfill. 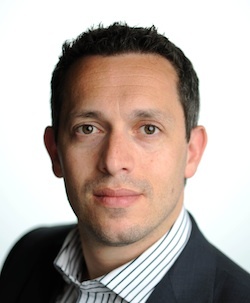 Marks & Spencer’s Head of Global Delivery for Plan A, Adam Elman, shared what they decided to do about this challenge in this month’s Cause Marketing Masters webinar. Here’s a brief overview of this inspirational program. Without the internal capacity to address this issue head-on, M&S enlisted the help of the charity Oxfam which had 750 charity stores throughout England. Via this partnership, customers could bring unwanted M&S clothing to an Oxfam store and, in return for their donation, they received a 5 pound coupon off a purchase at M&S. The feedback was positive: customers wanted to do the right thing but appreciated the effort from M&S as well as their coupon. This arrangement also worked well for M&S with customers making return store visits. Wanting to take the clothing donation effort to the next level and based on customer feedback that it was sometimes difficult to get to Oxfam stores within designated hours and find parking, M&S next launched a One-Day Wardrobe Clear-Out. Customers were invited to bring their unwanted M&S-brand garments into any M&S store. The response was overwhelming with 400,000 garments donated in one day. M&S also reaped huge amounts of publicity from this event. Still eager to push this clothing donation movement forward and truly embed it into everyday consumer behavior, M&S evolved the program into a new concept: Shwopping. To make this campaign fun, splashy and vibrant, M&S enlisted British actress Joanna Lumly as a celebrity spokesperson and, for the first time, turned to a national television ad buy to spread the word. 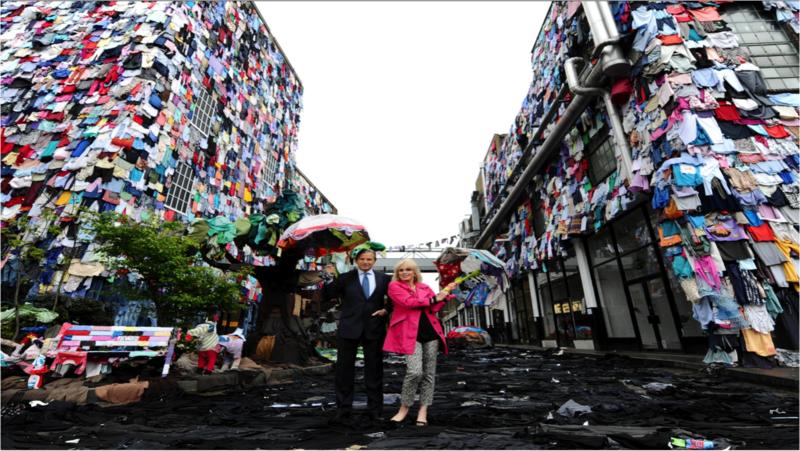 To launch the program, M&S took over a street in East London and displayed 10,000 items of clothing (the amount going to landfills every 10 minutes in the UK) to show the potential impact. The story was picked up widely both in the UK and across the globe. Still eager to push the envelope and the desire to have consumers change everyday behavior, M&S extended the program to include any clothing item, not simply the M&S brand. Not surprisingly, there were associated logistical challenges in becoming a clothing donation collection facility in addition to a retail outlet. To hear the rest of the Shwopping story, why M&S has now removed the majority of its related couponing efforts (and how that’s working out so far), why they’re placing more emphasis on mobile technology, and even creating new clothing lines from recycled clothes, tune into the recorded version of this webinar!